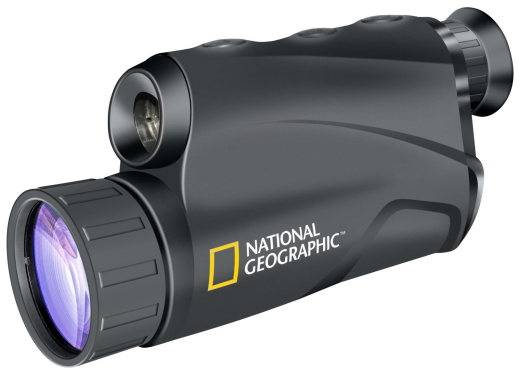 This 3x25 night vision device from National Geographic is equipped with 3x magnification impresses with its simple handling and robust construction. The adjustable, integrated infrared lighting allows use in total darkness. Can also be used in daylight and with enough light, a colour image is reproduced. The full package includes: night vision, bag, batteries and instructions.